San Lorenzo followed up their victory over Defensa y Justicia on Thursday with a second preseason win against Argentinos Juniors on Saturday. Nicolás Blandi, back in the starting eleven after missing the match in Mar del Plata, headed Fernando Belluschi’s corner past Lucas Chávez to open the scoring after 64 minutes and could have doubled the lead when his delicate finish came back off the crossbar. 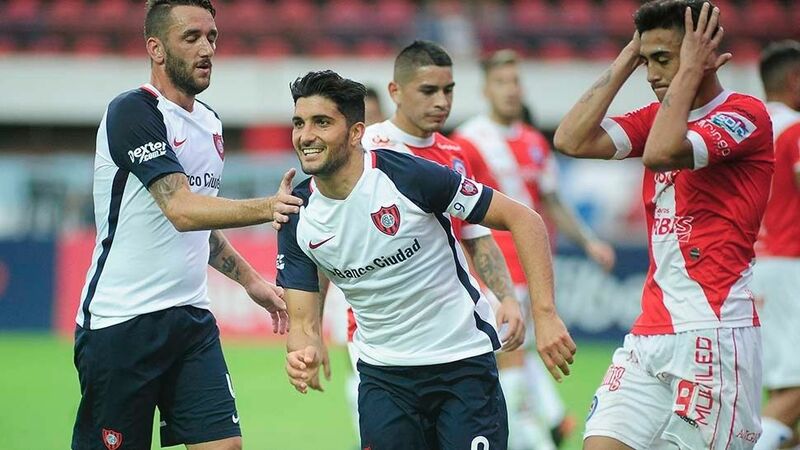 However, youngster Franco Moyano skipped through on goal to seal victory in the 89th minute and despite Nicolás González heading a goal back deep in stoppage time, San Lorenzo held on for the win. Neither side were yet to field any new additions but Lucas Barrios was in the stands to watch his new Argentinos Juniors teammates. Both will hope to do more business before the Superliga season resumes at the end of the month. Later in Mar del Plata, Gimnasia celebrated a penalty shootout victory over Independiente after a dull goalless draw. Ariel Holan was without several of his first team after opting to continue working with them in Buenos Aires but did hand debuts to two recent signings, Emanuel Britez and Braian Romero. Neither was able to make much of an impact as 90 minutes of football provided little action with both teams looking like sides just returning to training. Penalties were required to separate the sides and with Gimnasia perfect from the spot, Christian Ortiz blazing over the bar was enough. Neither Holan nor new Gimnasia manager Facundo Sava will have learned much from the game but it was a useful workout for their players as they build fitness before the restart.